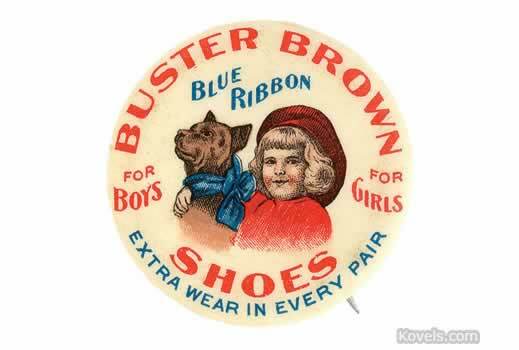 Buster Brown, the comic strip, first appeared in color in 1902. 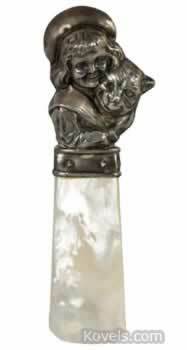 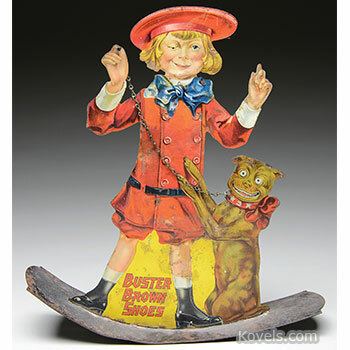 Buster and his dog, Tige, remained a popular comic and soon became even more famous as the emblem for a shoe company, a textile firm, and other companies. 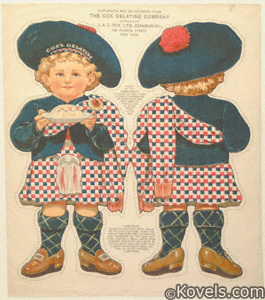 The strip was discontinued in 1920. 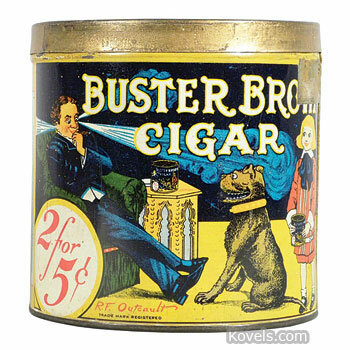 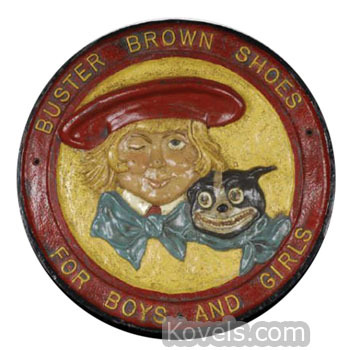 Buster Brown sponsored a radio show from 1943 to 1955 and a TV show from 1950 to 1956. 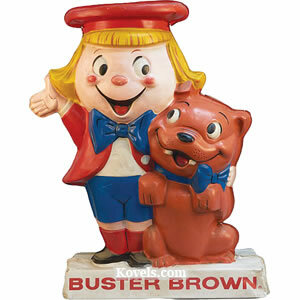 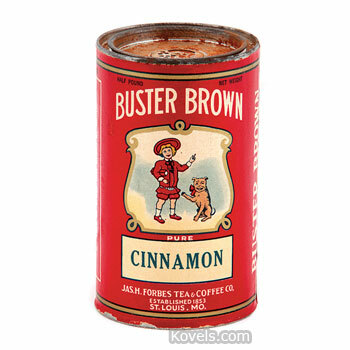 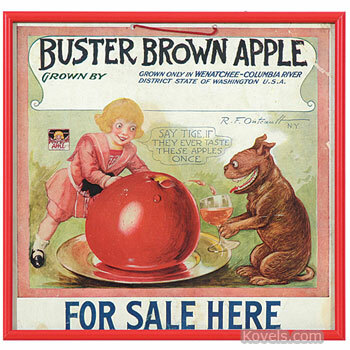 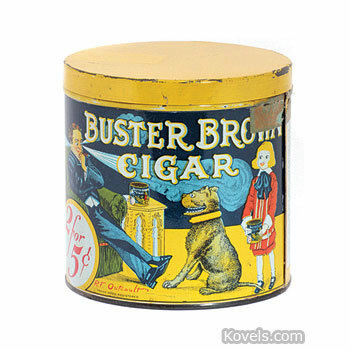 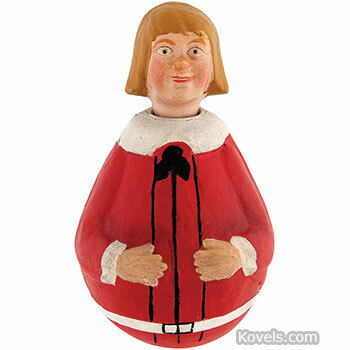 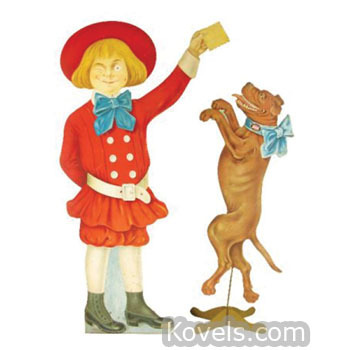 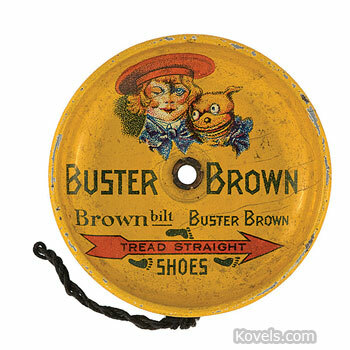 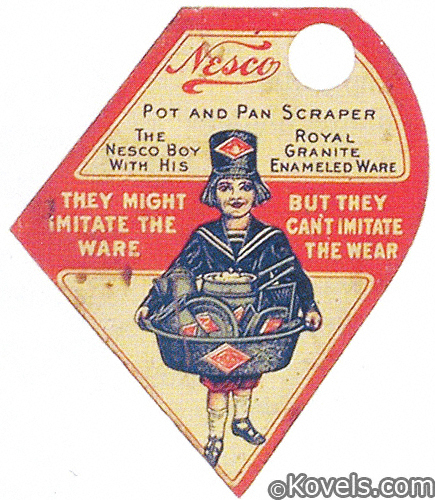 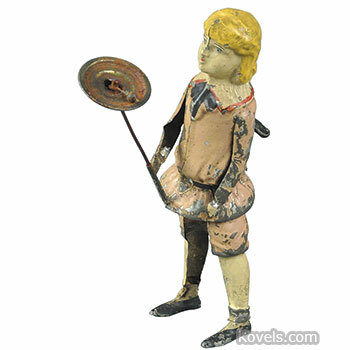 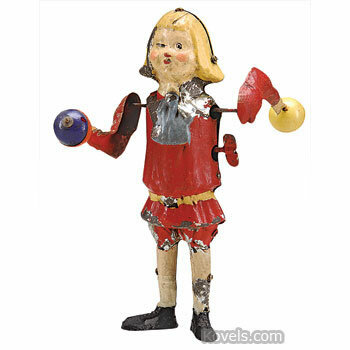 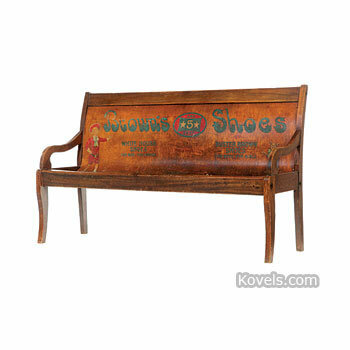 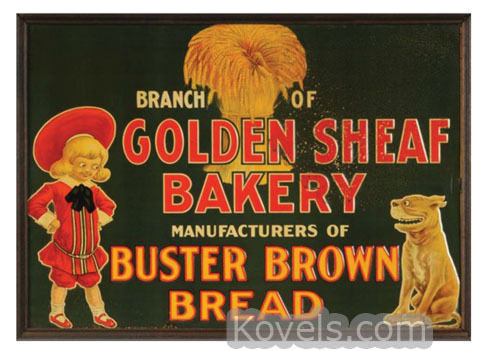 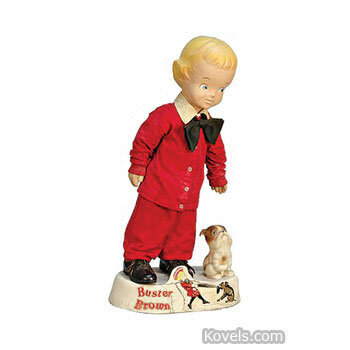 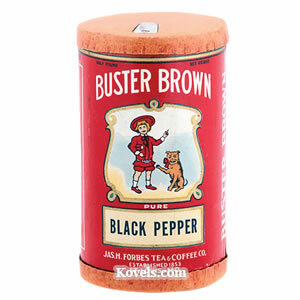 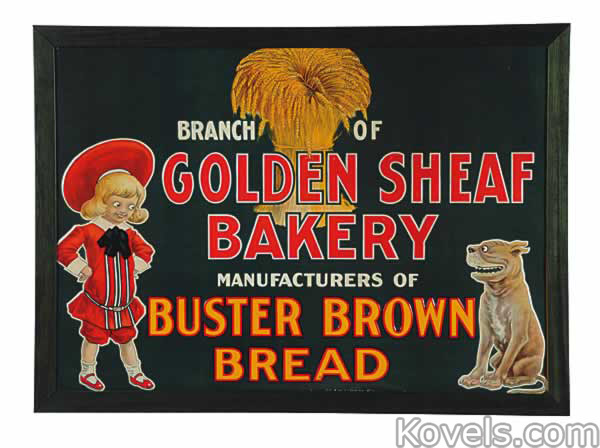 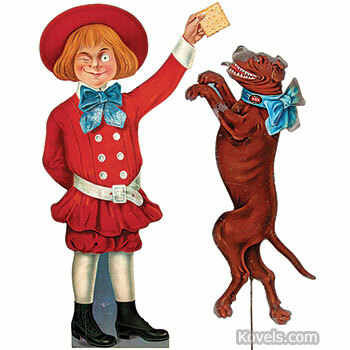 The Buster Brown characters are still used by Brown Shoe Company, Buster Brown Apparel, Inc., and Gateway Hosiery Mills, Inc. Buster Brown collectibles vary from banks, buttons, clocks, and mirrors to playing cards, pocketknives, puzzles, signs, and trays.